Thread: road racing coming back to San Diego Region? The San Diego Region SCCA has a loonnnnngggggg history of hosting a road race program. This dates back to the mid 1950s, when the races were held on a track built where the Torrey Pines golf course now stands. As times changed and development happened, the program moved to a track where Miramar College now stands, to a road racing course laid out on the west lot at Qualcomm Stadium, to Carlsbad Raceway, and finally to Holtville. Since Holtville became unavailable a few years ago, the Region co-sanctioned an event per year with Cal Club. That arrangement ended this year, and until recently it looked like 2012 would be the first year in decades in which the Region was not involved in road racing. Times have continued to change, however, and there are a couple of events lurking around the horizon. The Coronado SpeedFest has traditionally only had race groups for vintage race cars. This year, however, the SCCA's MX5 Cup will be joining the fun, and San Diego Region has been asked to provide race workers for the event. While there are a few old hands still active, we will be needing some new faces to come out and wear the white. I've worked a couple of races, including the last Trans Am event here in San Diego, and had a blast doing it. Stay tuned; more details are forthcoming. "San Diego Region has a long history of sanctioning both Regional and National races for our members. We are actively pursuing the possibility of continuing that tradition at the Chuckwalla Valley Raceway facility. We have gone out to the track to evaluate what remained to be done to obtain SCCA certification, and have also met with the pertinent National personnel and reported those findings to them. The result of these meetings is the very real potential of that approval in time to schedule one or more races for the 2013 season. We have also been in contact with Arizona and Las Vegas Regions and have been assured of their interest and support in holding races at Chuckwalla Valley Raceway. This is early information, but any feedback in support of these plans would be appreciated." Chuckwalla is about three hours from San Diego, and the Friday drive is a breeze compared to getting to Buttonwillow or Willow Springs. A lot of the denizens of these boards have driven it, and I personally found the track to be a blast. Its kid of a wider, smoother Streets of Willow Springs. In contrast to its earliest days, it now has shade, flushing toilets, and gasoline available. The ownership is absolutely committed to expanding the facility to a world class, country club racing level. Not quite what i was expecting from the title. I have heard chuckwalla is nice, but it's still a 3hr+ drive. I wish there was something in or within the vicinity of San Diego. California Speedway is only an hour and a half for me. Twice a year there isnt enough racing for me but hey, its really close. Ron has raced with us there. Still, I do wish there was a dedicated road race facility within the San Diego County area. 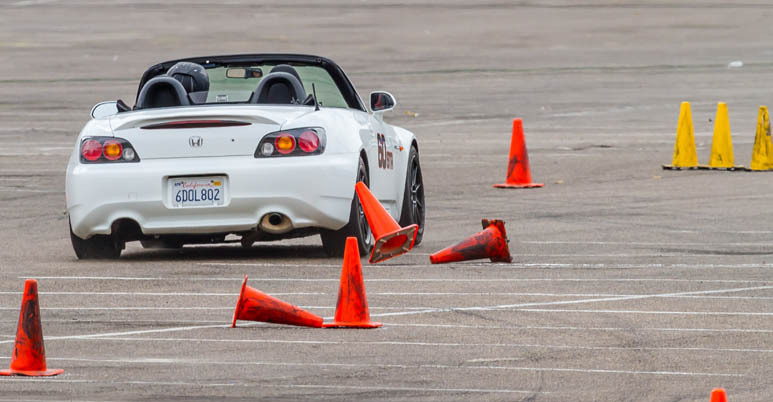 I am headed to Chuckwalla for a track day on April 14th. This will be my 7th or 8th time driving there and it just keeps getting better. Car count continues to increase at the events, and where there were less than 20 cars total in the beginning our last trip in Feb was somewhere around 60-70 cars.